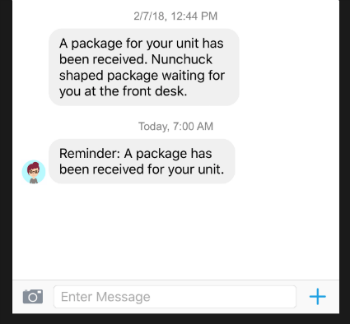 How do I notify residents of package deliveries? This article explains how the package notification system works in Homebase. 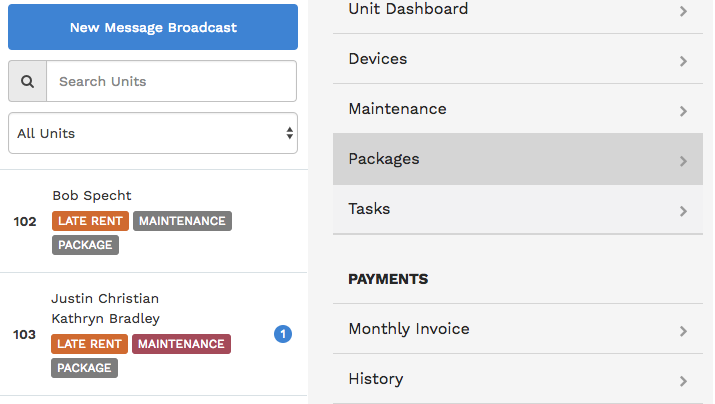 To notify a resident of package delivery navigate to the Unit List and select the Unit. Select the blue, New Package button. 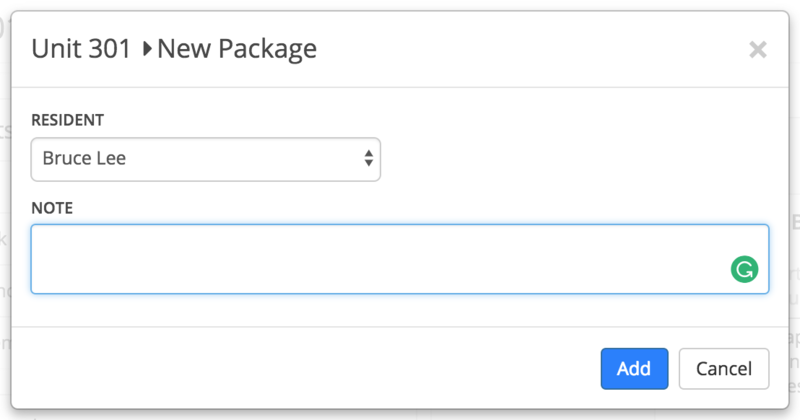 Fill out the required information about the package and hit Add. Once added, a notification is sent to the resident via the Homebase Resident App. A subsequent reminder is sent once daily thereafter, until the package has been claimed. Once the resident has picked up the package, click the Claimed button to remove it from the Packages list. The resident will receive a notification that the package has been claimed.